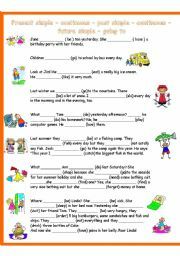 Revision of present simple, present continuous, past simple, past continuous, simple future and going to. 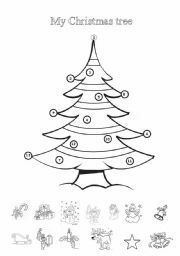 Students enjoy decorating their own Xmas tree according to the description on the second page. 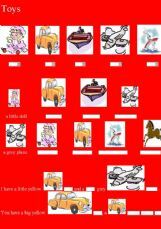 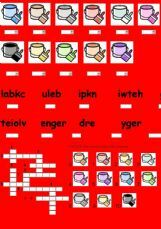 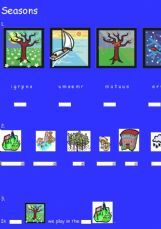 It is very easy and it revises colours, numbers, there is - are, Xmas vocabulary. 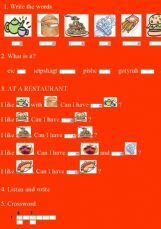 Practise question words and asking questions with this WS. 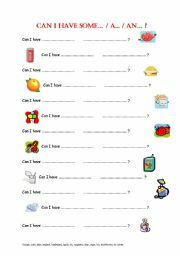 I hope your students will enjoy asking questions to complete missing information. 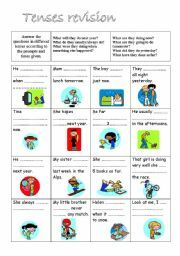 Practise verb tenses with this WS. 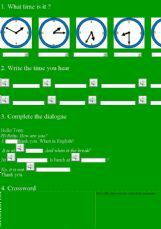 Students practise any verb tense by asking and ansvering questions. 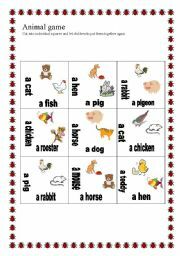 Cut to squares and let children to put them together again. 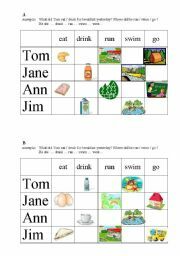 With this powerpoint children practise whether to use there is + sg. 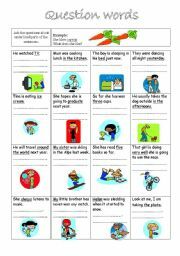 noun or there are + plural noun. 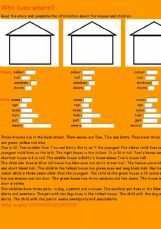 I hope it helps your students with classroom vocab and the sentence structure THERE IS / ARE. 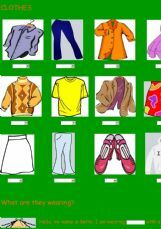 Easy exercise for little children practising clothing with the present continuous tense. 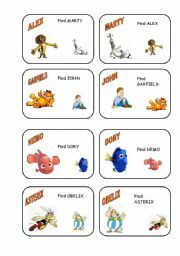 Hope your little ones will enjoy it. 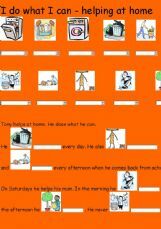 Students will practise vocabulary concerning doing the chores. 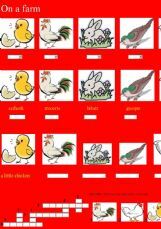 Practise animal vocabulary with this online exercise.